There’s just something about the colorful leaves, crisp air, and autumn harvest that makes us want to get in the kitchen and cook up a fall-flavored meal. However, with the abundance of seasonal ingredients, it’s difficult to decide what to make. If you’re in need of some Autumn inspiration, we’ve got you covered! 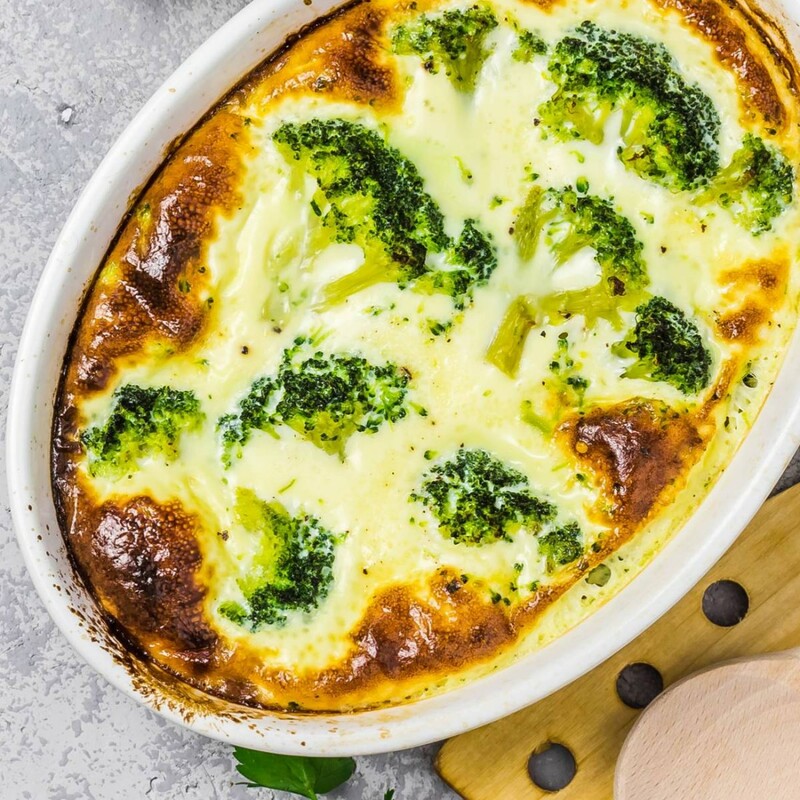 The Green Valley team has compiled a list of our favorite healthy recipes for you to try this season. 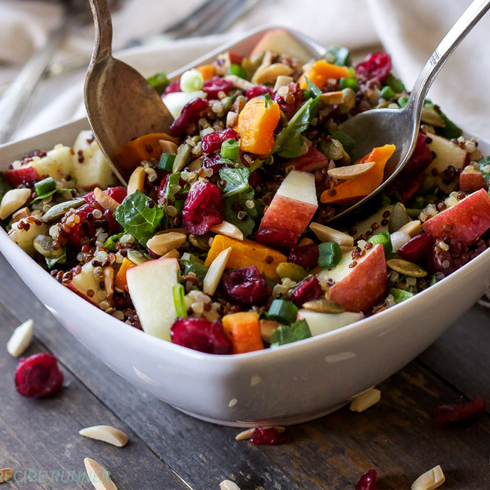 This Harvest Quinoa Salad features some of the season’s best! Apples, butternut squash, and cranberries are topped with a spiced cinnamon cider dressing. 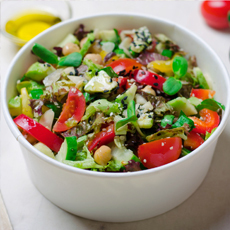 Pack this salad for lunch or make a big shareable bowl for the entire family to enjoy. There’s nothing better than freshly baked Pumpkin Bread on a fall day, especially when it’s guilt-free. This healthy recipe is made with organic Green Valley Pumpkin , honey and an optional sprinkle of brown sugar. Whether you’re attending a fall gathering or spending the day home, this moist bread if perfect for any occasion. This fall-inspired chili is the definition of comfort in a bowl. 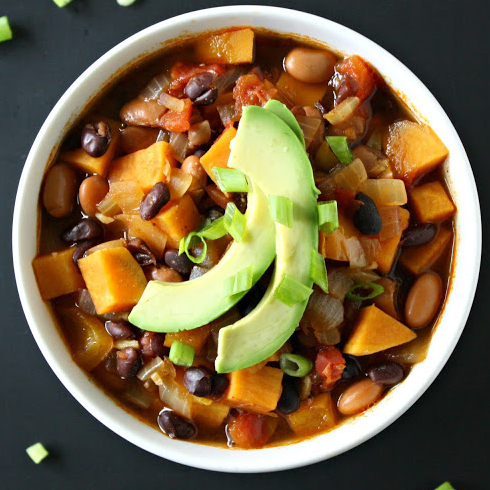 Hearty yet healthy, this recipe combines protein-rich beans and high-fiber sweet potatoes into a tasty one-pot meal. 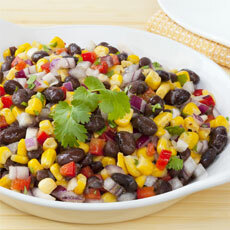 Make with organic Green Valley Black Beans and Pinto Beans for added health benefits. Take advantage of what’s in-season with this roasted veggie recipe. By eating seasonal produce, your fruits and veggies will be extra flavorful and provide more nutrients for your body. This recipe uses crunchy pecans and spices for some extra fall flair! If you enjoy the flavors of a Pumpkin Spice Latte, but prefer to skip on the sugar, you’re going to love this oatmeal idea! High-fiber whole grains are naturally sweetened by organic Green Valley Pumpkin and bananas. Once you give it a try, this recipe will become a staple of your crisp fall mornings. 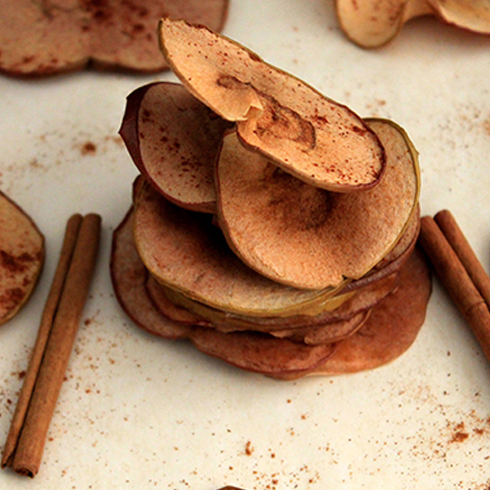 Embrace the natural sweetness of apples by creating these apple chips free of added sugar. Slice, Sprinkle, and Bake— in just three easy steps, you’ll have a crunchy and delicious Autumn treat that the entire family will love! If you’ve never given Spaghetti Squash a try, fall is the perfect time to do it! Packed with vitamins and antioxidants, Spaghetti Squash is a healthier, low-carb alternative to pasta. Top with your favorite sauce or try this delicious recipe made with organic Green Valley Garbanzo Beans and kale. Warm, creamy, and the perfect amount of spice— this Pumpkin Soup made from organic Green Valley Pumpkin is ideal on a cool fall day. With only 10 minutes of prep time, this recipe requires nearly no effort. Grab a warm bowl, curl up on the couch, and enjoy! 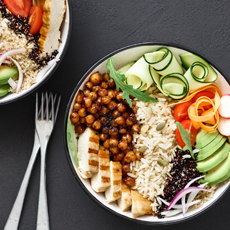 With these recipes, you can enjoy the season’s best ingredients while maintaining your healthy lifestyle. We’d love to see how much you enjoy them! Share your photos with us on Instagram and tag @ItsGreenValley.